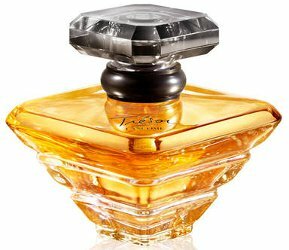 Lancôme has launched Trésor en Or, a new fragrance for women. Trésor en Or is a flanker to the 1990 version of Trésor. What it is: Trésor en Or, the limited edition eau de parfum, adds a twist to the iconic Trésor fragrance, introducing Turkish rose, jasmine absolute oil and fresh peony to Trésor's signature peach and leather notes. What else you need to know: Trésor en Or is the first limited edition of Trésor since 2015. The perfumer, Dominique Ropion modernizes the signature Trésor Eau de Parfum by relating it to a peony which brings fluidity and lightness. Trésor’s leather note is enhanced by the patchouli and ambrette absolute oils. The sensual notes from the ambrette oil and musk add an addictive and textured element. Additional notes include rose, jasmine and peach. Lancôme Trésor en Or is available in 50 ml Eau de Parfum. I didn’t know that Tresor had a leather note. I will have to try it again. I doubt we will get this version here. A colleague of mine at the time Tresor was launched wore it, along with her other signature fragrances, which were Shalimar & the original Carolina Herrera – this came in a box with spots, if memory serves. I always think of Liz whenever Tresor is mentioned, & although we rarely see each other we still exchange Christmas cards. Back then I wore the original Oscar de la Renta, in the bottle with the top shaped as a flower with a dewdrop in it – gorgeous! Peony never bodes well, IMHO. They’ve got some kind of nerve talking about the “iconic” Trésor fragrance, because it was irreparably reformulated in the late nineties, with a needle-sharp top note that ruined it. And it never had leather, either: when launched it was a soft rosy-peachy scent with a warm-skin (but not leathery) quality to it, classic Sophia Grojsman, astonishingly beautiful. It hasn’t been that in a long time. So many people speak wistfully for the Tresor that used to be. I never smelled it back in the day; wish I had. Needle sharp is right. I have a bottle but try as I might, I can’t love it. I spray it and try to experience the Tresor you describe. It ain’t there. I admit I liked the la nuit tresor a la folie, well the opening of it anyway. Tresor was in my top faves in the 90s..too bad fumes gotta change from reforms and restrictions. Joining the “Peony is NOT for me!” group!